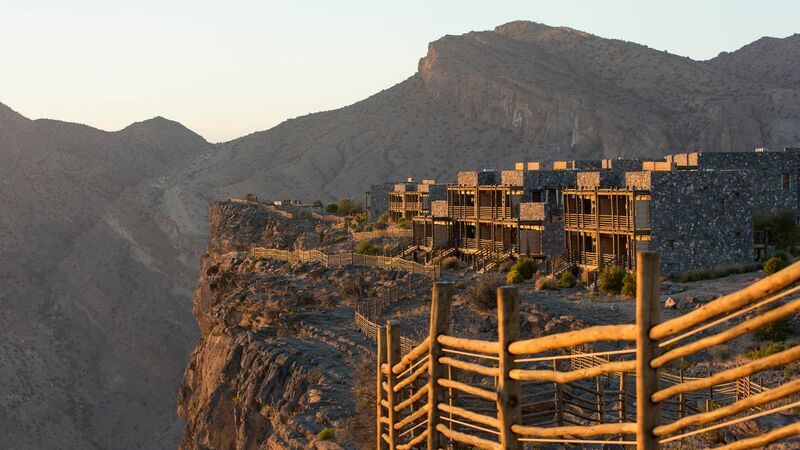 Holidays in Jabal Akhdar transport you to the heart of the Al Hajar Mountains, at their highest and wildest point, where you can take in spectacular panoramic views of Oman. Adventurers will enjoy hopping in a 4x4 and discovering snaking roads, deep canyons and Jebel Shams, Oman’s highest mountain which stands at over 3000 metres. Discover the Grand Canyon of Oman at Wadi Ghul and enjoy breathtaking views of the dramatic landscape. Families will enjoy exploring the local fortresses which are dotted over ravines and in the hilltop hamlets, as well as soaking up the year round sunshine. The nearby Nizwa Fort is worth a visit for an insight into the country’s fascinating history. Discover tranquil villages and cliffside farms within their own serene oasis. With its own microclimate, visitors will be greeted with a more Mediterranean than desert climate. The stunning landscape is dotted with pomegranate and walnut orchards, and sprinkled with rose terraces in springtime, providing a unique holiday experience. Luxury holidays in Jabal Akhdar bring you upmarket amenities and dramatic scenery. Deluxe hotel accommodation and excellent restaurants await and feature apricot sweetened curries and Damask rosewater. 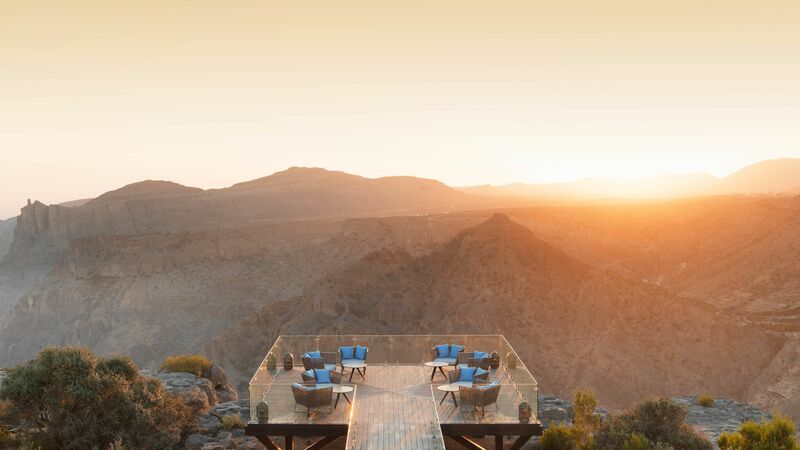 Enjoy local delicacies as you watch the exquisite sunset and take in the Hajar Mountains which change colour as the sun disappears. Sovereign offers a carefully selected collection of luxury accommodation in Jabal Akhdar, hand picked by our experts who seek the utmost in comfort and customer satisfaction. Allow us to arrange a holiday to match your requirements. The Alila Al Jabal Akhdar Hotel is an intimate couples’ retreat, perfect for getting away from it all and home to luxury amenities including excellent cuisine and a rejuvenating spa. The Anantara Al Jabal Al Akhdar Resort is another popular choice, and is the highest five star resort in the Middle East. It’s home to world class facilities and staggering Canyon views, as well as providing a range of activities for all ages. Transfers from Muscat airport to Jabal Akhdar take between 2 hours and 2 hours 30 minutes.